The water parks, especially popular during the summer season, serve to entertain young and old people, give rest to the beach and add a little adrenaline to a relaxed summer day. 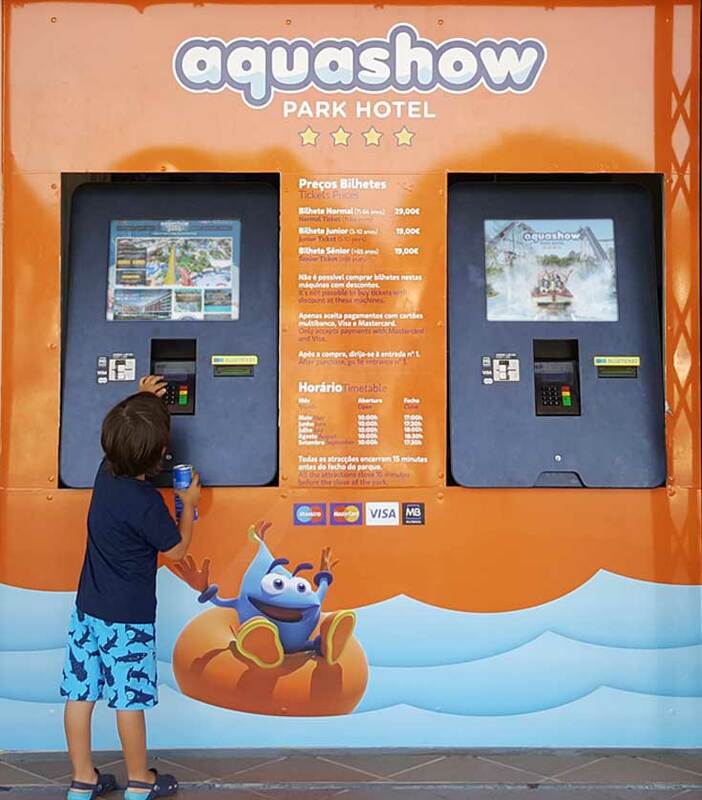 At the entrance to Aquashow, one of Portugal largest water parks, it is possible to find PARTTEAM & OEMKIOSKS self-service digital kiosks, designed to guarantee ticket sales for the water park. The EXOZ self-service kiosks provide a customized and autonomous service, making the experience more enjoyable for Aquashow visitors. Make payments with Visa, MBWAY, etc. The interactive kiosks of PARTTEAM & OEMKIOSKS can have different configurations, being able to integrate applications and other components like: printers, card readers, webcam, keyboards, etc. It is not only self-service kiosks that can transform the experience into water parks, but digital signage can also emerge as an effective alternative to traditional communication methods. With PARTTEAM & OEMKIOSKS self-service kiosks, your business will be able to offer a different, agile and practical experience to your customers / visitors and this could be the differentiation you need in relation to your competition.